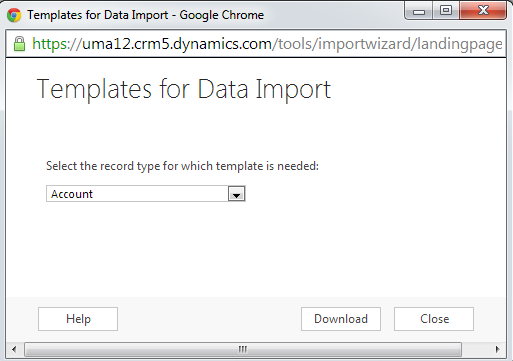 Summary: Ms Dynamics CRM 2013 Data Import online training tutorials,materials free downloads. 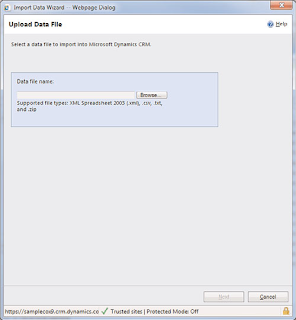 The functionality to export data is persistent throughout the application. 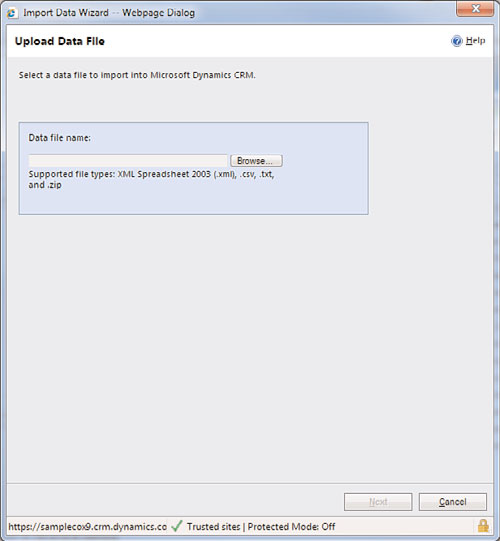 Similarly, so is the ability to import data in Microsoft Dynamics CRM 2013. 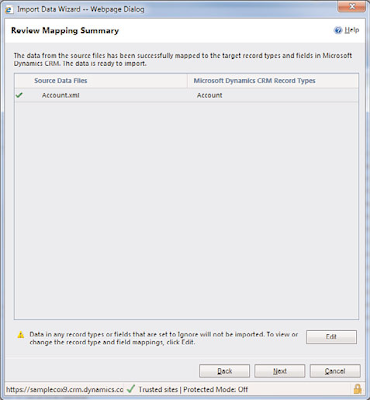 Not found in Settings, Templates, but rather in Settings,Data Management, there exist data import templates, as shown in Figure. Figure : Data management interface. 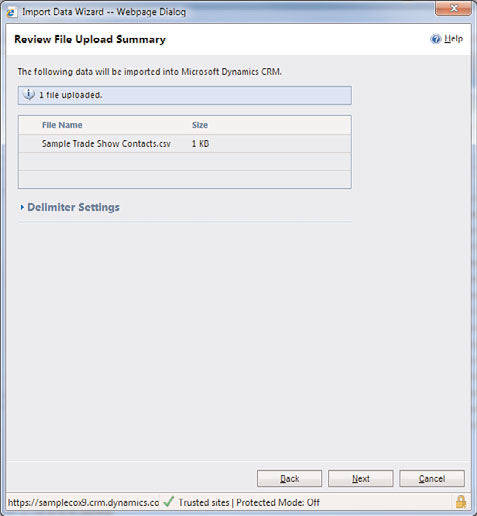 .When selected, users are presented with the option to download data templates for entities (including custom entities) by selecting the record type and clicking Download. Where there are required attributes, such as Account Name, the column header is shown in bold. Additionally, there are tool tips on each of the columns that feature whether the field is required, and the character length and option sets are available in drop-down form.Use the downloaded template to populate with data that can be easily migrated using the Import Wizard. 1. 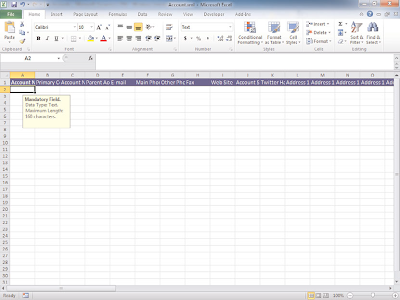 Either select Import Data from the Ribbon menu or select File, Tools, Import Data. 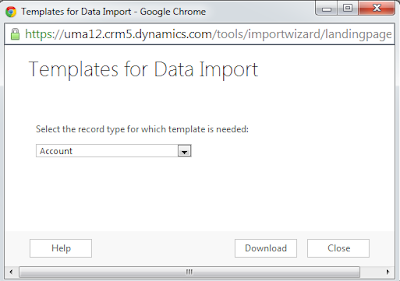 The Data Import Wizard opens, as shown in Figure below. 3. Because the mapping is unknown in this case, unlike what we illustrated in step 2,we need to select the data map for the import. 4. 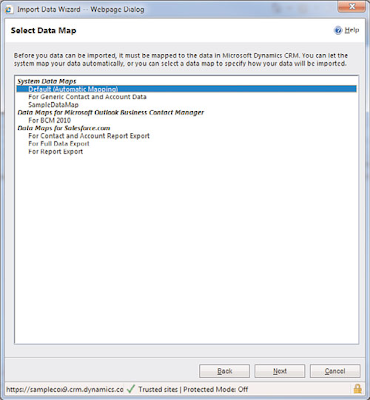 Select the default data map for the import, and click Next to continue. Because we have only one source file uploaded, in step 5 we need to select the record type from the drop-down (or in the case of multiple file uploads, to not map the data). Figure shows the options for record types that include custom entities. 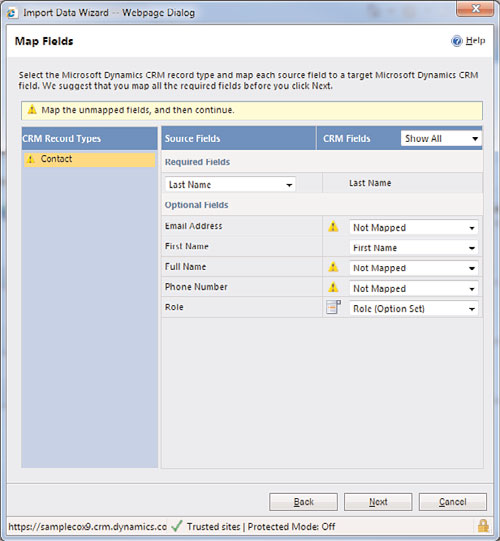 Notice that the field mapping is broken down between required fields (the top part of the wizard) and ptional fields (the bottom part of the mapping). Additionally,notice where mapping occurred—in our example, First Name was mapped automatically,but Email Address was not. Either fix or correct the mappings, and select Next to continue. 7. To map the option set, select the option drop-down icon next to the drop-down section. 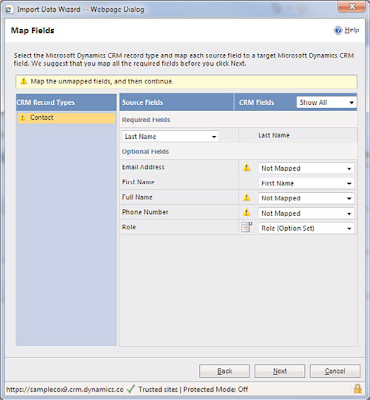 You will be prompted with the option set mapping for the field.You can select the mapping values based on what is on the underlying data source or map the underlying data to values that exist in the CRM system. MS Dynamics CRM Job openings In India.